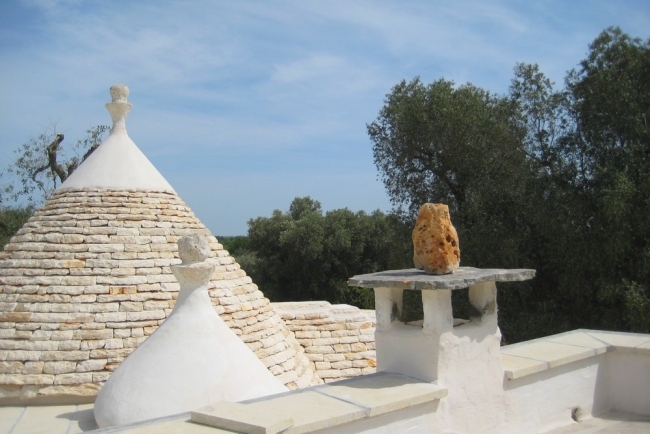 Puglia, located in the heel of the Italian boot, is one of the most beautiful regions in Italy. 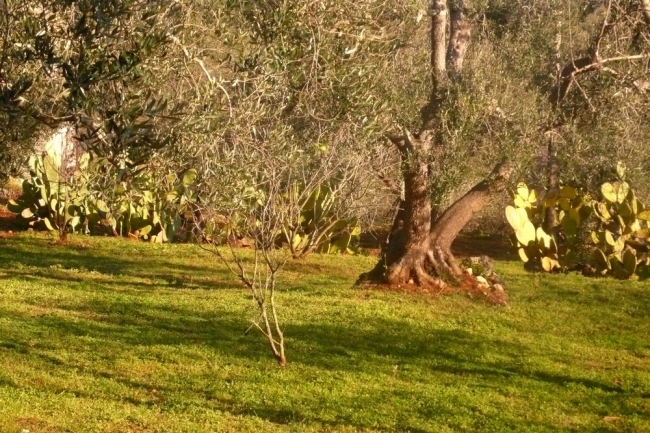 Surrounded by a beautiful and warm sea, it offers stunning landscapes. 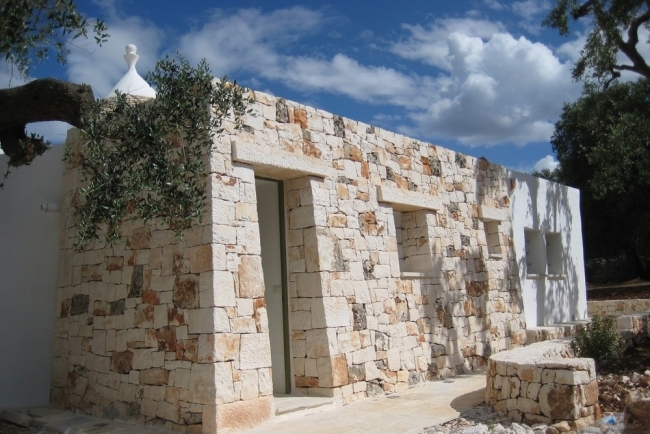 At the heart of this region lies the charming village of Ceglie Messapica, an ancient Mesopotamian city. 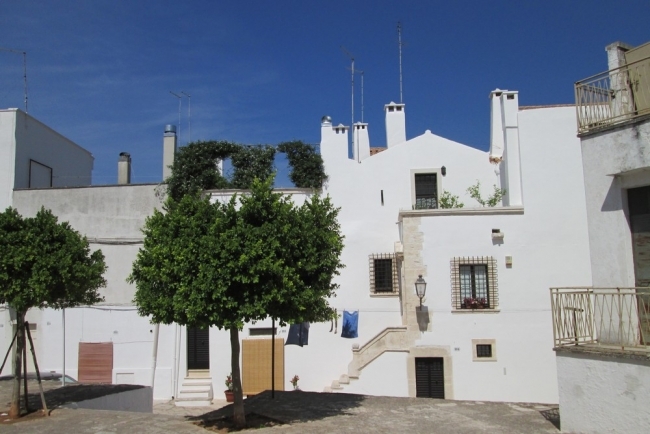 Ceglie is a delightful small town in the Brindisi province, which comes alive in the summer with music concerts, art exhibitions and numerous flea markets. 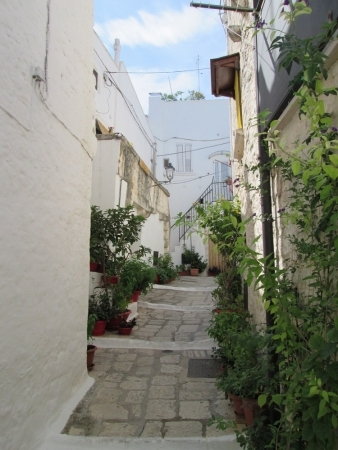 Historically, Ceglie is considered to be the capital of Pugliese cuisine, with its high quality restaurants and the richness of its local products. 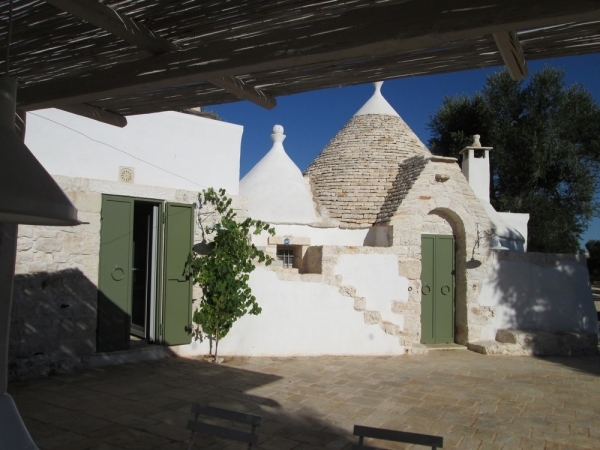 Due to its position, Ceglie is an ideal departure point for discovering the Itria Valley, rich in “trulli,” and Salento: in fact, the city is 31km from Taranto, 35 km from Brindisi and 70km from Lecca. 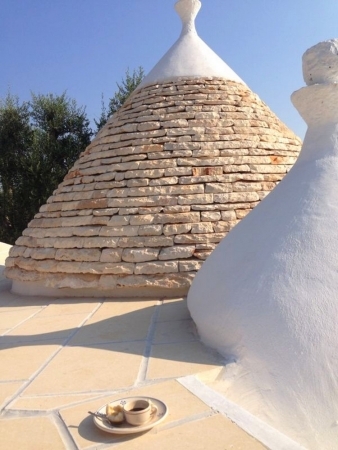 A trullo (the name comes from the Greek word τρο?λος meaning dome) is a traditional conical structure in Apulian dry stone. 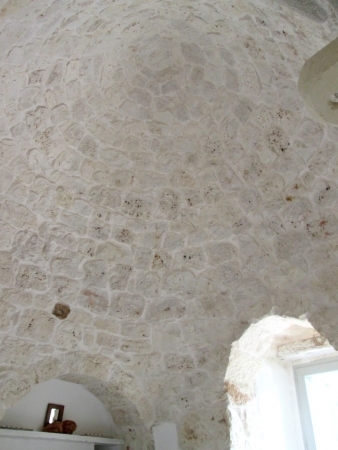 It consists of a central part (the dome) and alcoves (alcova: open space to house a bed) on the side where the beds were located. 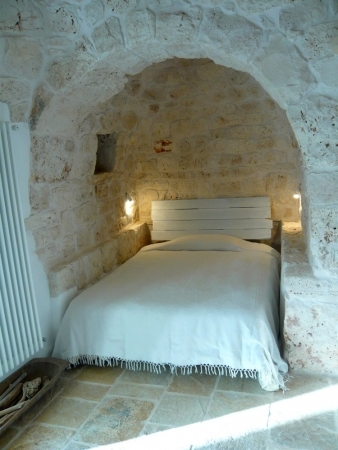 The "Cozzaro" (peasant) used the trullo to sleep in and also store his farm machinery. 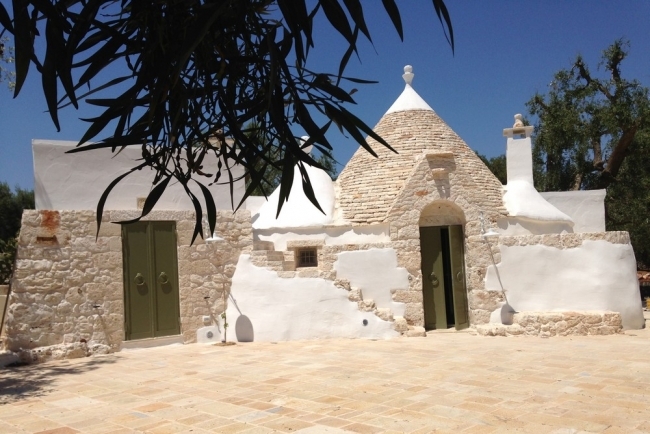 The trullo is surrounded by tratturi (country roads) enveloped by olive and almond trees, where you can enjoy a morning jog or take bike rides. 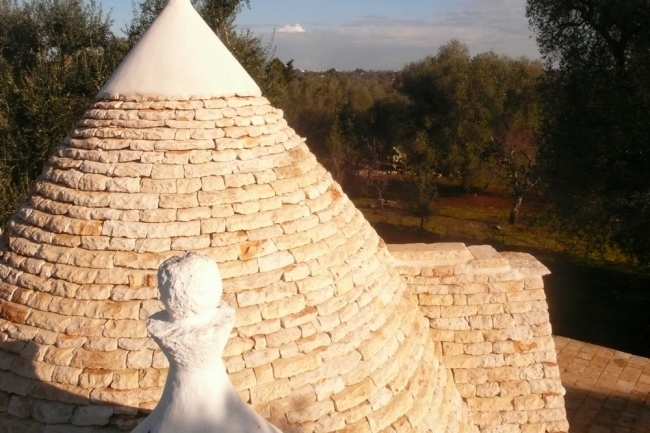 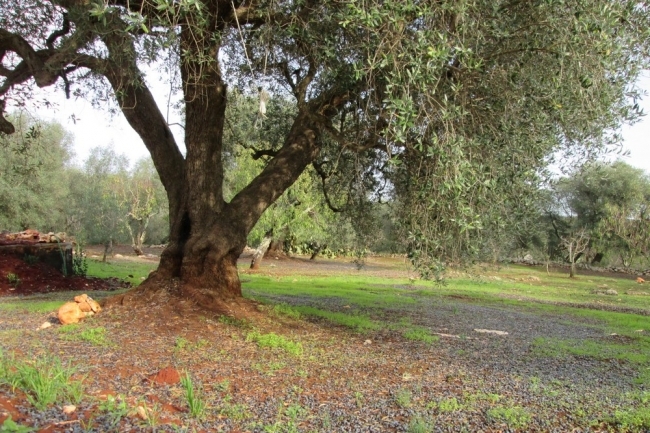 TERRAROSSA TRULLO is a big 53.50m² country trullo, in the heart of a beautiful 13,000m² park composed of 80 olive trees, 40 almond trees, prickly pear trees and many other fruit trees. 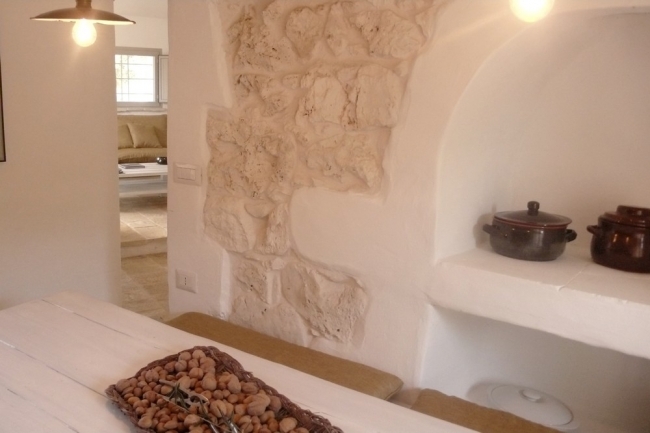 Through a glass door, you arrive in the 9.50m² entryway, leading into the central conical portion of the trullo with its beautiful stone fireplace. 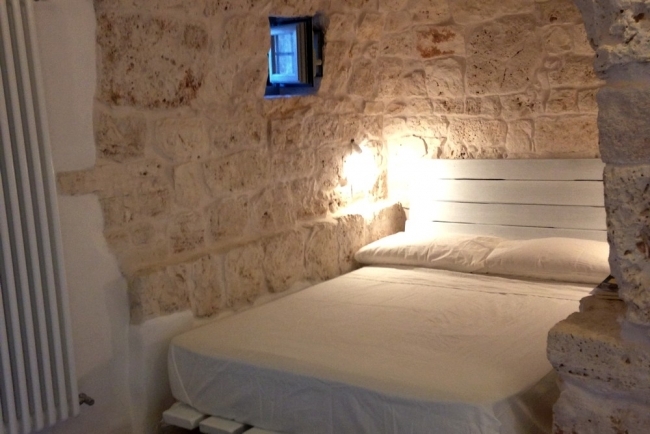 The first bedroom is located in an "alcova" (3.70m², not enclosed) across from the fireplace that has a small window overlooking the front terrace, and includes a double bed. 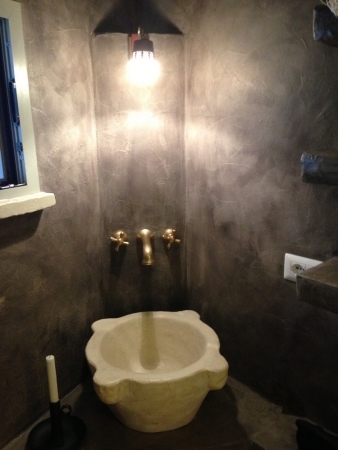 A small bathroom (3.40m², with 1 window) is around the corner to the right of the entryway, and is fitted with a shower, sink, bidet and WC. 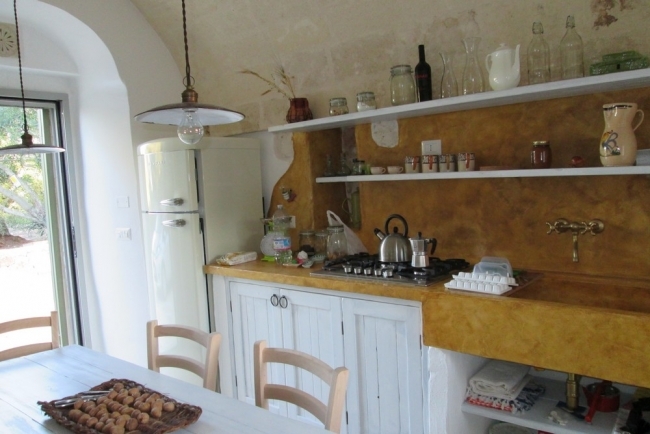 At the back of this room on the left is a small hallway (6m² with 1 big, long window overlooking the rear patio) with lots of storage space, leading to the kitchen on one side and the living room on the other. 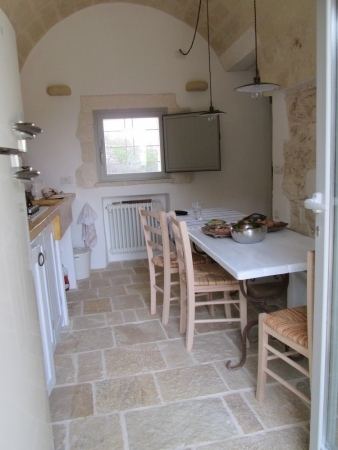 The kitchen (9.50m²) has a large dining table with chairs and a stone bench. 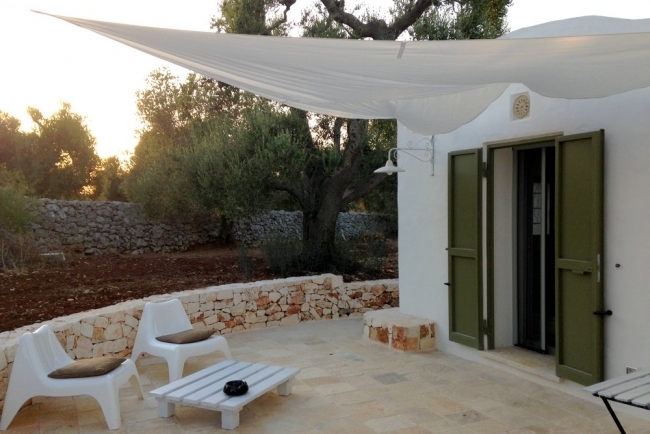 It is fully equipped including a gas stove, sink, and refrigerator/freezer. 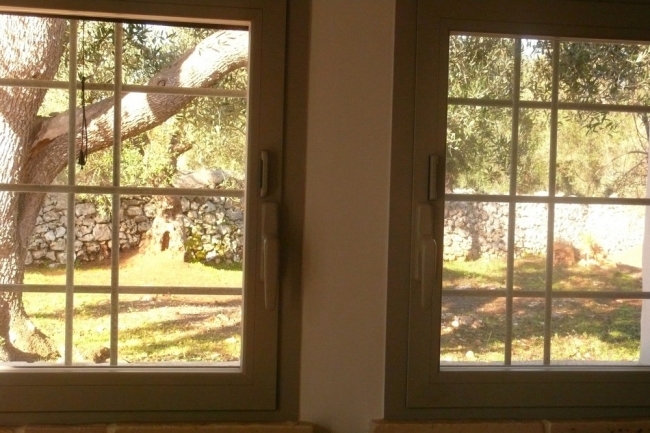 A French window overlooks the front terrace and another window overlooks the rear terrace. 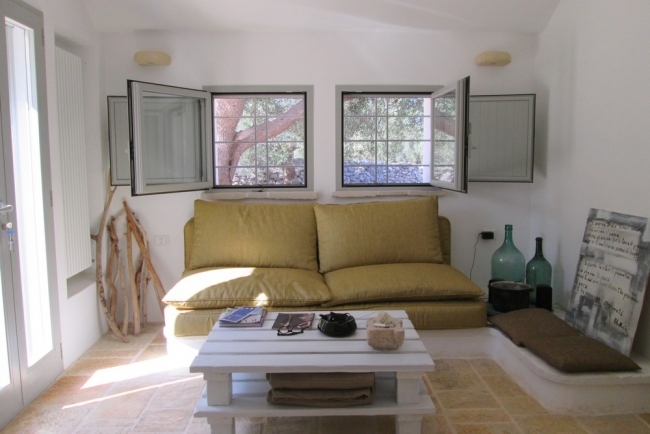 The living room (10m², 2 windows) includes a large sofa which can be used as a bed, a small table and a TV. 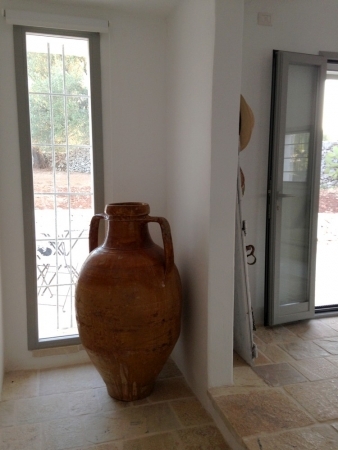 A large French window looks out onto the rear terrace. 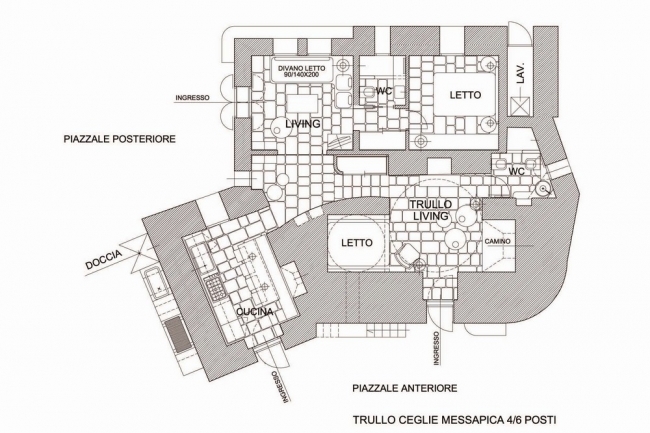 To the left of the living room, a small passage with wardrobe leads to the bedroom and second bathroom. 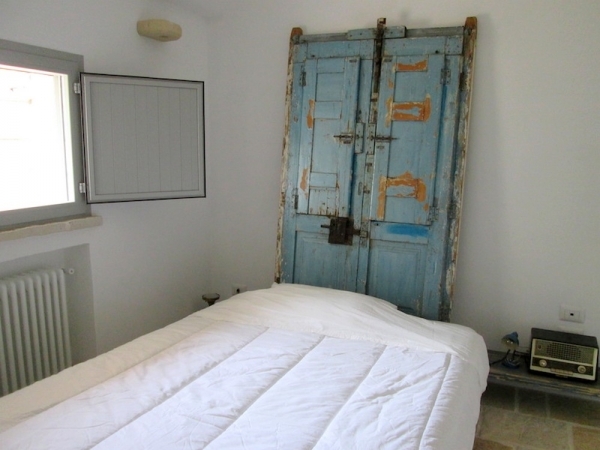 The 2nd bedroom (9m², 1 window) has a double bed, a chair and a small cupboard. 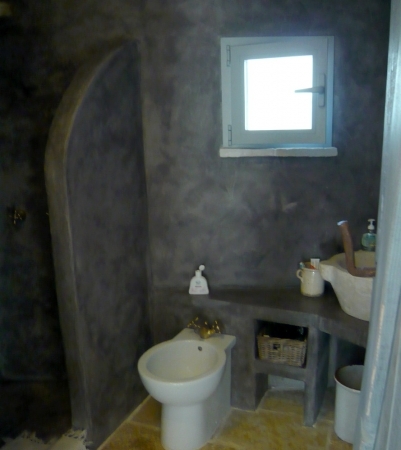 A second small bathroom (2.40m²) is equipped with a shower, sink and toilet (with small shower). 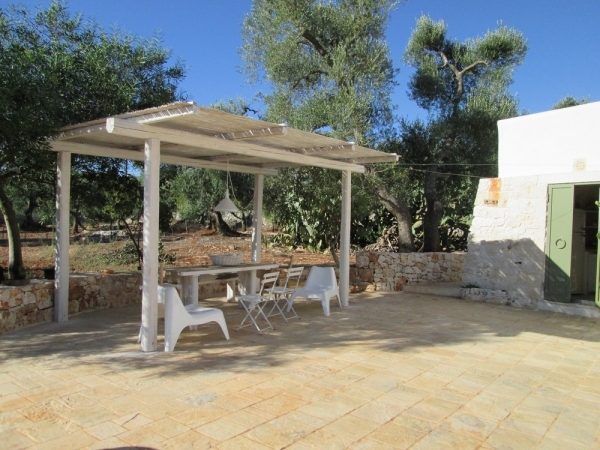 The 30m² terrace has outdoor furniture and is very pleasant on summer evenings. 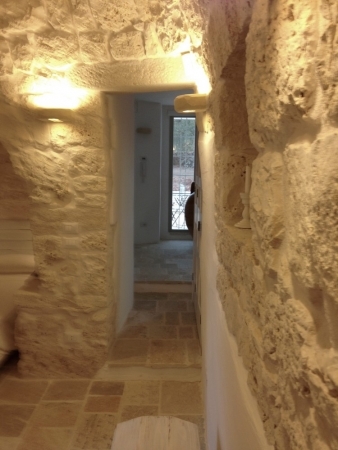 - A 100m² front terrace through which one enters the trullo (access to the main entrance and the kitchen). 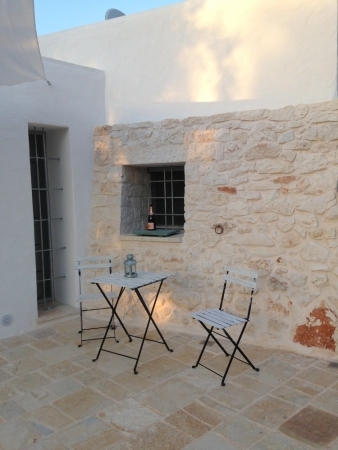 - From this terrace, stairs embedded into the stone lead to the rooftop, from where you can enjoy a magnificent view of the sourrounding park and countryside. 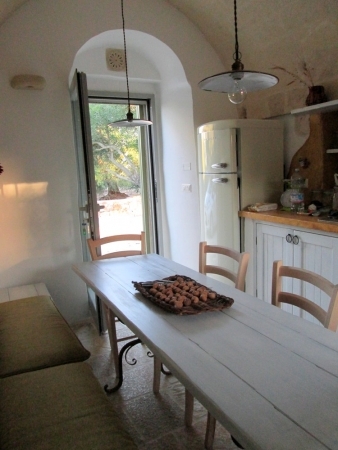 - A rear 30m² terrace is equipped with outdoor furniture (with access to the living room). 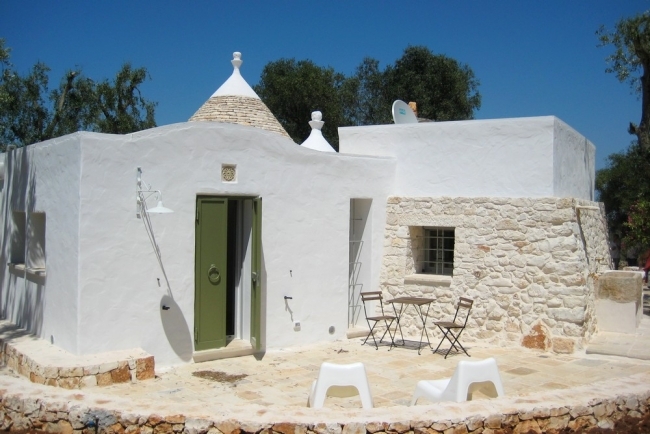 - A large stone sink and outdoor shower are on the side of the trullo, where the 2 terraces connect. 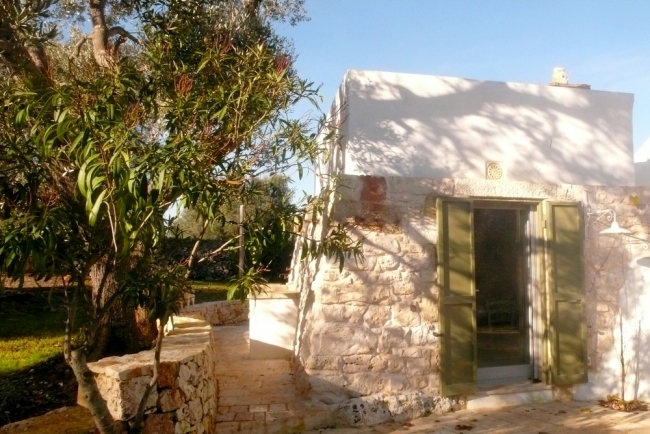 - Behind the trullo is an area for the furnace and washing machine. 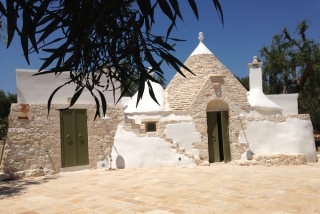 The trullo is provided with a water tank, and it is advisable not to waste water, but use it sparingly. 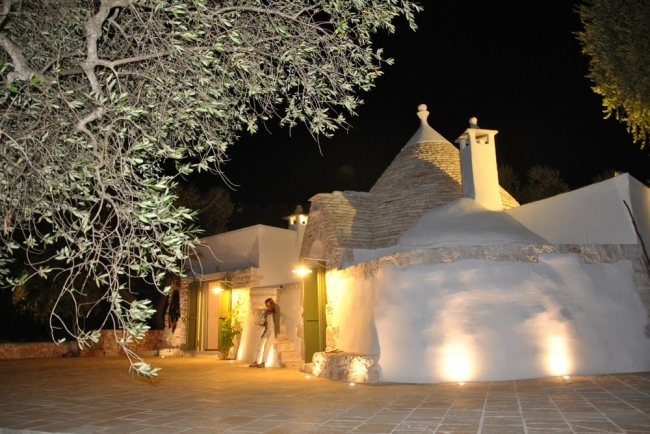 An alarm is set each time you leave the trullo. 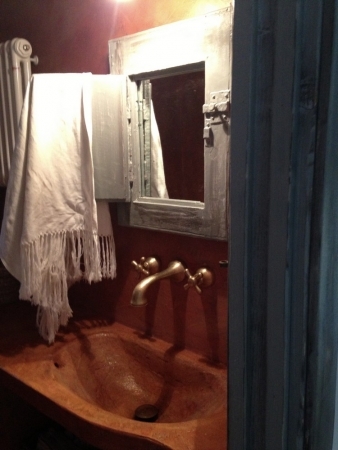 Before leaving, please close the doors and windows. 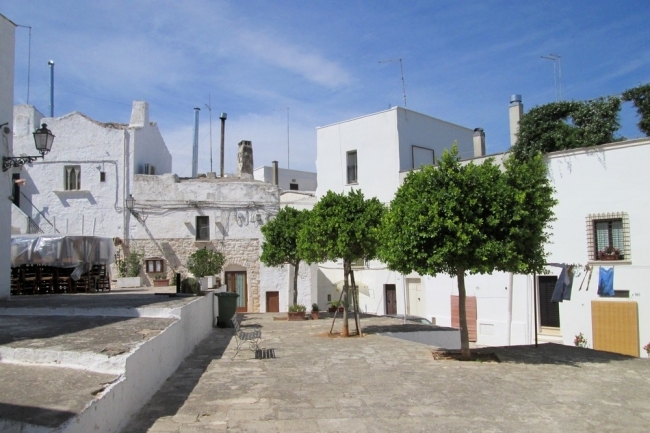 From Bari: Take the Super Strada (E55-Bari/Lecce), exit at Ostuni, then follow the directions towards la Provinciale 22 (Ostuni/Ceglie). 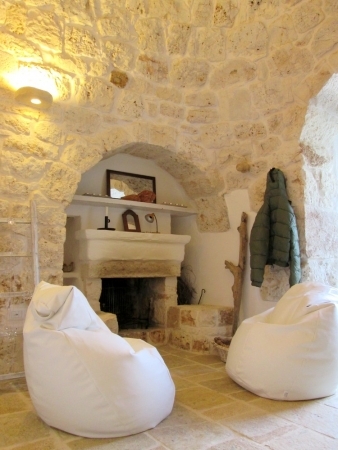 From Brindisi: Take the Super Strada (E55-Bari/Lecce), exit at Ostuni, then follow the directions towards la Provinciale 22 (Ostuni/Ceglie). 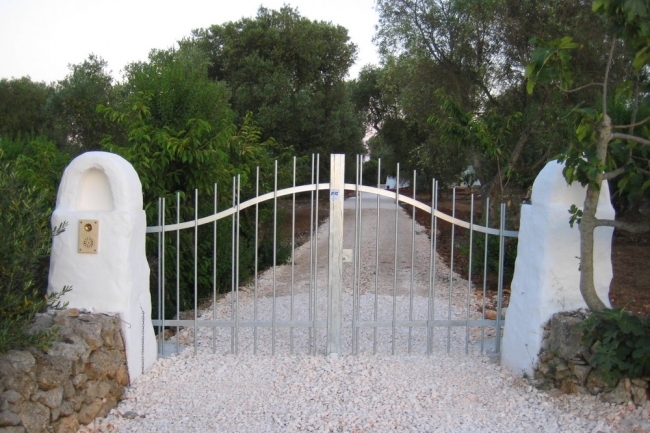 From Taranto: Take the Super Strada (E90-Taranto/Brindisi), exit at Francavilla Fontana, then follow the directions towards la Provinciale 26 (Francavilla /Ceglie). 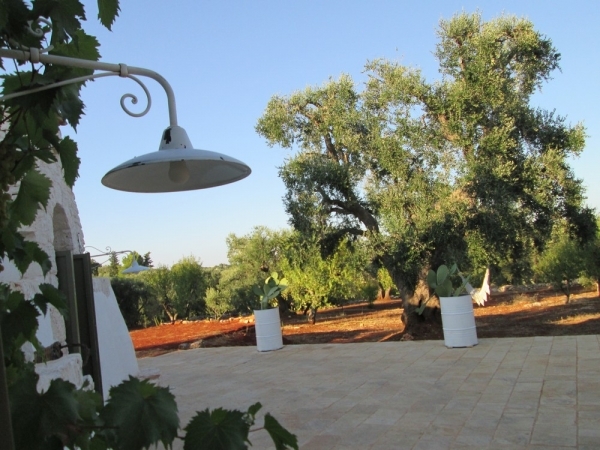 To get to the TERRAROSSA TRULLO, follow the signs for the Masseria Camarda, the entry to the trullo is right across from the Masseria. 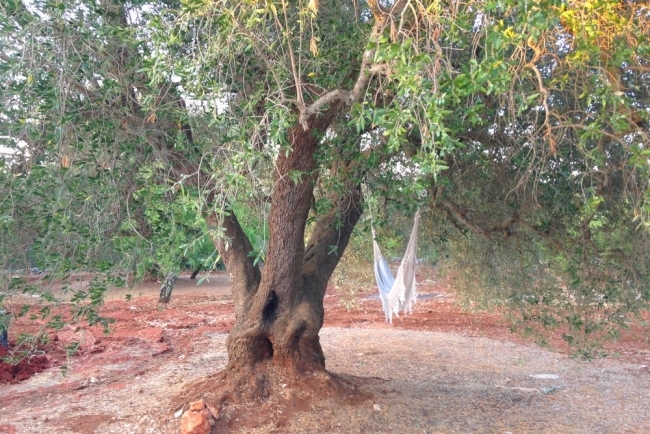 To get here, it’s best to rent a car! 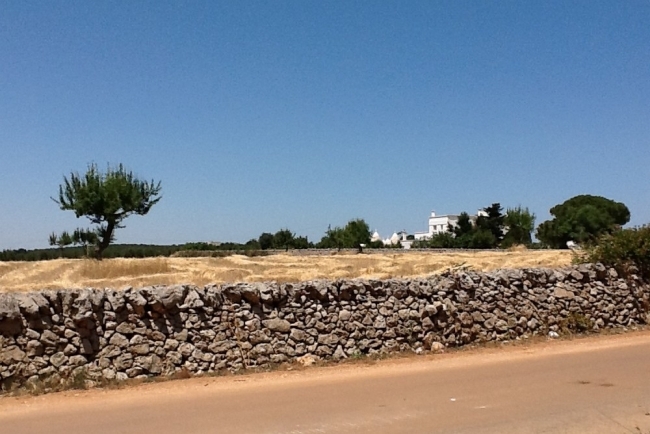 We’re in the middle of the countryside!